…..a great name for a hotel / pub or what? If you continue north westerly on Songer St in Stoke, then after you pass over the deviation bridge you’ll find the hotel occupying its own small peninsula before you reach Monaco. now she is a hit with local photographers. I was sitting at the Seafarers Monument at Sunderland Pier having a sandwich, watching the fishermen, with my Mum who’s visiting and noticed the pilot boat coming back in through the cut. Scanning the horizon though, I couldn’t spot any large ship leaving or arriving. Only then did I spot the massive tall mast approaching on the other side of the Boulder Bank, even though it was low tide it was still very clear. And at 63m’s tall that mast wasn’t too hard to spot. She was a might impressive yacht, 58+m in length attests to that. 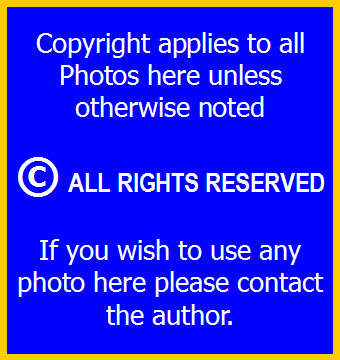 Marine Traffic’s website is showing her ……. currently at Port Nelson on their radar too. ……..having tracked around the top of the South Island to get here. Further info & photos here at the the builders site. over the last few days, as can be seen from these photos taken today 29th Dec 2010……. 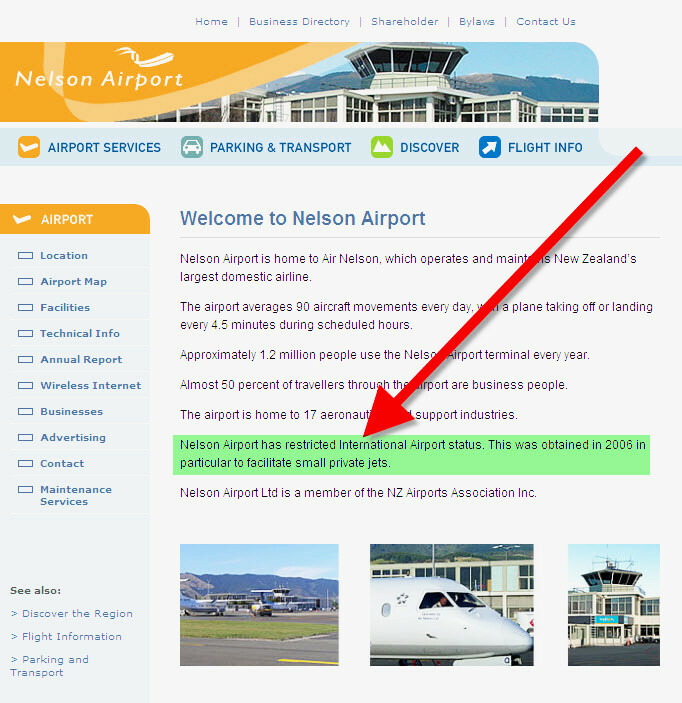 Something that maybe you weren’t aware of at first, and that is……..that Nelson Airport actually has classification as an International arrival / airport? Then after their off-camera “holiday break” they can embark on the Official Stuff. Not a Usual suspect for……..
Nelson Airport was this afternoons arrival of Air National’s Akld based ZK-ECO. Only on the tarmac apron for a short time (turn-around)……. …….and getting some exercise in……for the long night ahead. maybe the secret is getting out about NZ’s sunshine and lifestyle capital..
but just an hour ago today this $50m + beauty just landed…and I’m just as puzzled as the next guy as to who it belongs to? The one in October was a G550 I think, one just like Sir Peter Jacksons???? BUT tonight’s has many more windows than that and what…at least to me looks like bigger engines? 650????? If its true to form…like most before it…it will belong to Wells Fargo Bank, c/- somewhere in the States. Turns out that Global Express XRS VH-OCV is the Goodmans latest unit, see UPDATE here. featuring a photo of Port Nelson. Normal Photo of Port Nelson zone. next year but did you know Nelson holds a special place in NZ’s rugby history? This, above, the Botannics Ground in Nelson East, is where it all started. Nelson in fact, was officially where Rugby in New Zealand started back in 1870, with a certain Mr Charles Monro introducing this english game and funny shaped ball to Kiwis. ……it is, that this garage has the following…. …….marking inside reflecting its street number? noticed this week outside the local Volkswagon dealership. Did a double take when I was passing one of our new car dealerships……where you only usually expect to see professional hand painted or printed signs. This hand written sign……twas quite an ingenious method to gets ones attention actually. This photo offers another visual of Nelson. Upper centre left of photo is the Port Nelson region, adjacent that is the Haven, and if you look closely you may be able to make out the Boulder Bank centre right of photo, beyond which is the open sea. Taken from the top of Collingwood St, and looking in a northerly direction you can see why in the past this street was the location for our annual Trolley Derby Races. wanders through the Matai Valley and then on …………. out into the Nelson Haven. in Richmonds main street, Queen St, on top of the old Mitre 10 store site. so why not make your ride to work into a “merry car” – these folks have. Number plates are sometimes amusing and is want to be the Kiwi way, are oftentimes intended to bring a smile to ones face. top of the South Island of New Zealand. It started back here…… and finished up here. Oh …….and my little hometown did also win another major NZ “best of class” last year too, read the full story here. seems someone else wanted to get in the photograph too. I hear you ask…….South of France…..
when you look at this photo. Kina Peninsula is where. Near Mapua / Motueka in the Nelson Bays. Must admit though by holding the lens of my Polaroid sunglasses over the camera’s zoom in photo at top is a bit more pleasing that just the standard one out of the camera at bottom. come to fruition…and I couldn’t be happier with their decisions. With this one we are blessed…. and it comes as yet another fabulous addition to the Saxton Fields Sporting Complex. Surely no one can consider that locally we don’t appreciate the effort of locals that may be of …..what can I say……a slightly different chronological persuasion to you and me? from the moment he was born it would seem he had “the call”…. ….how else could you not be “born into the job” with a surname like this? ……can’t really get away from it in this…. …..& as you can see……different chutes for different folks too……..
Actually why not invite a few of your friends to drop off their back-packs and enjoy total “air freedom”….in Nelson….and be really “up above”…. In Nelson there is a bit of a problem because the hills rise so quick behind the town. However I’d be surprised if adventure oriented & outdoors folks would see that as an issue. This week Summer is now here in NZ…… so there is no excuse for not taking it into your world with both hands……..
…..these pics are from somewhere you too can visit in Nelson in the next 1 ~ 2 weeks. …its still interesting to see above me……. When I was growing up….teenage years memento here…….at that time it was parachutists. But time moves on…….apparently today this activity (“parachuting'”) is too dangerous “in situ” of NZ’s 4th or 5th busiest airport. So, eventuating from that……..Motueka is now the Nelson Bays capital of skydiving. How high are the hills…..
Its sixfifteen and hows your day starting……? Americas Cup skippers in training….